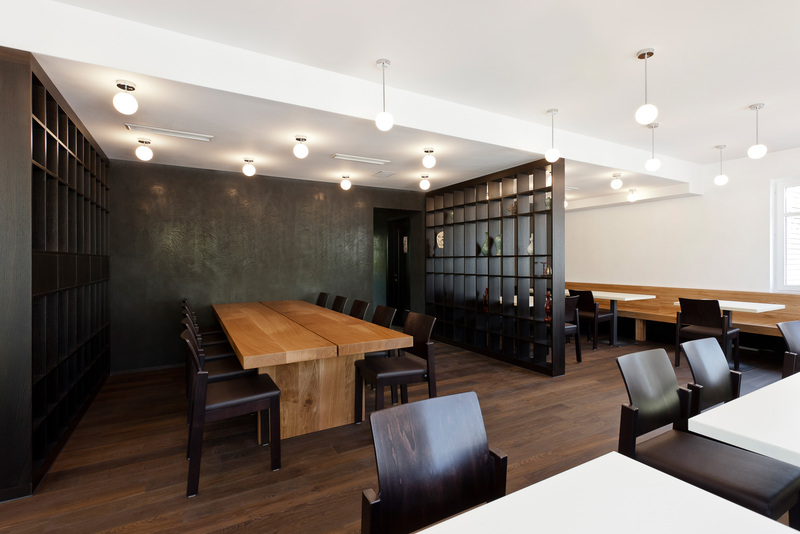 Our Restaurant was designed by Kimlim architects from St. Gallen, Switzerland, in 2012. 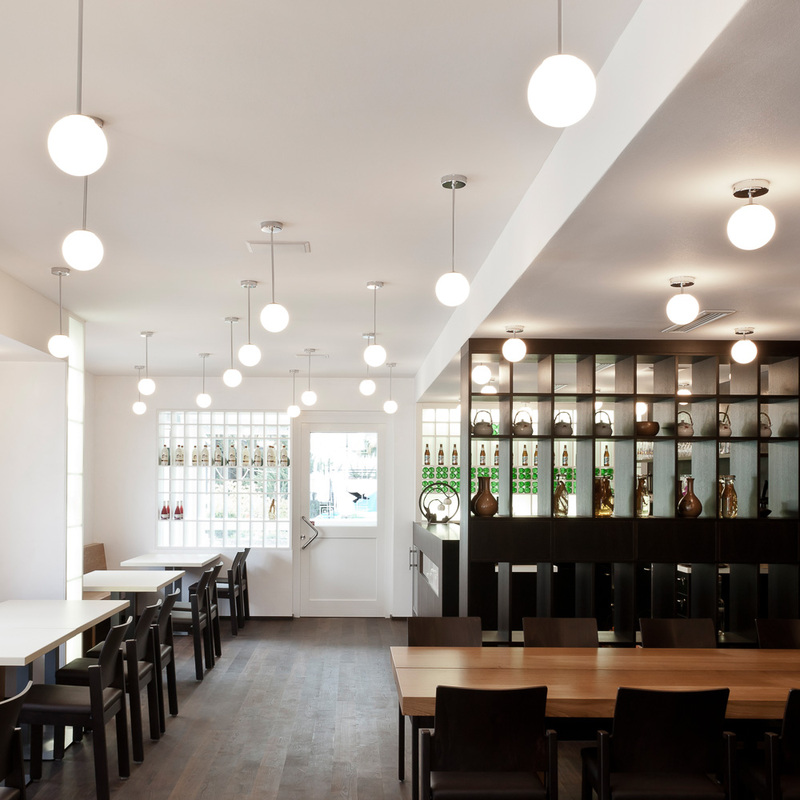 The design was based on the reversing of the traditional Korean madang. 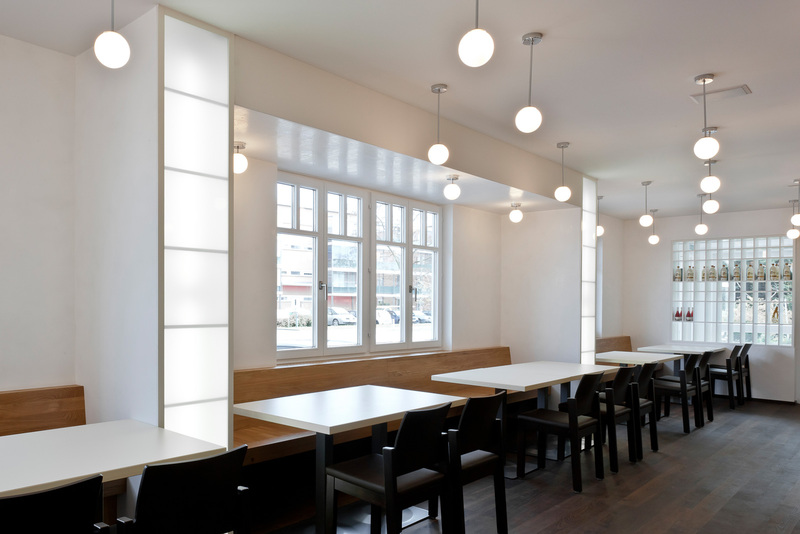 Clear colors und straight functionality create a relaxed ambience to enjoy. The composed design won the architects award in 2014. The Madang as a Principle. The Madang is the Korean courtyard of several apartments, the center of social exchange. Architect Eunho Kim has turned the Madang upside down for the Okims: the "Toetmaru", the transition from the apartments to the courtyard, is symbolized by the massive wooden bench that looks out onto the room of conviviality. The Center Is The Pyonsang. In the center of the room is the massive wooden table, which symbolizes the Pyonsang. This is the place to talk, to discuss, to have fun and of course to eat. Die Sterne ins Haus geholt. So wie nachts die Sterne über dem Madang funkeln, so hat Eunho Kim die Sterne über den Madang im Okims aufgespannt. Viele kleine Lichter die zusammen den Raum erhellen stehen symbolisch für unsere Gäste, die aus dem Okims erst machen, was es sein soll: ein Ort der Begegnung. The restaurant's name goes back to Gernot Mueller's exclamation "Oh Kim! ", mostly followed by the postscript: "That was really tasty", because at home Kim Sung Suk serves Korean delicacies. For lunch you chose from six variants of Bibimbap, served with the weekly changing ’soup of the week’, banchan and dessert. The weekly changing lunchbox, containing soup, main dish, banchan and desert, is only served for lunch. For dinner you chose from the menu. We highly recommend the traditional table grill, where everyone at the table boils his food in a tasty soup on open fire. 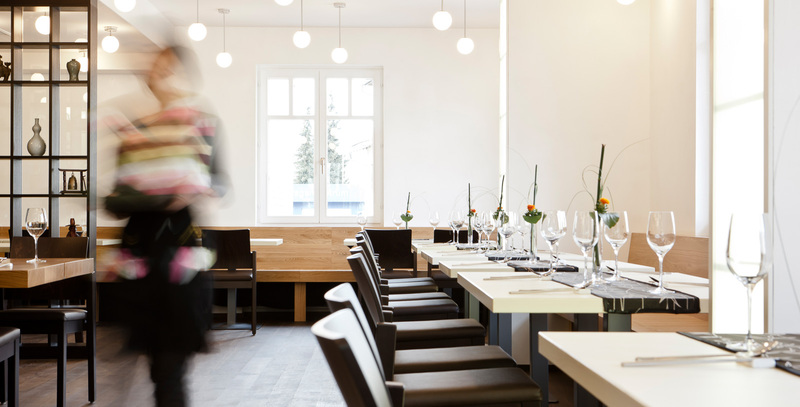 As our restaurant cannot always accommodate all guests, we ask for your rightful reservation, at lunchtime as well as for diner.